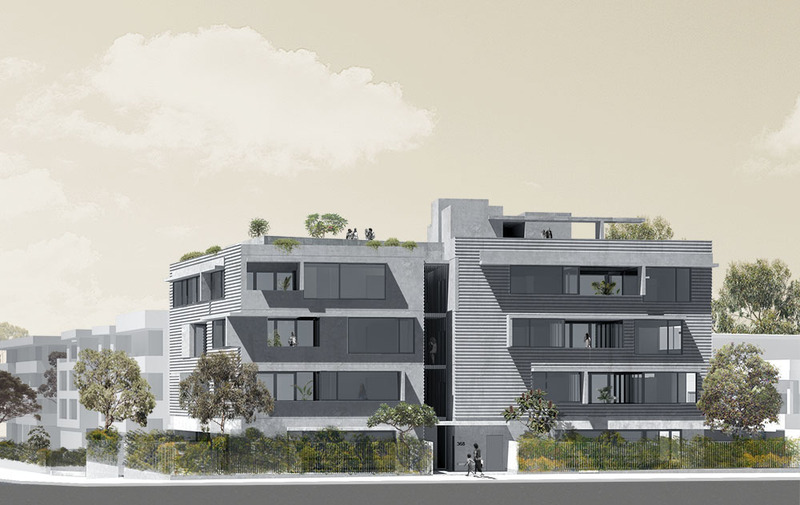 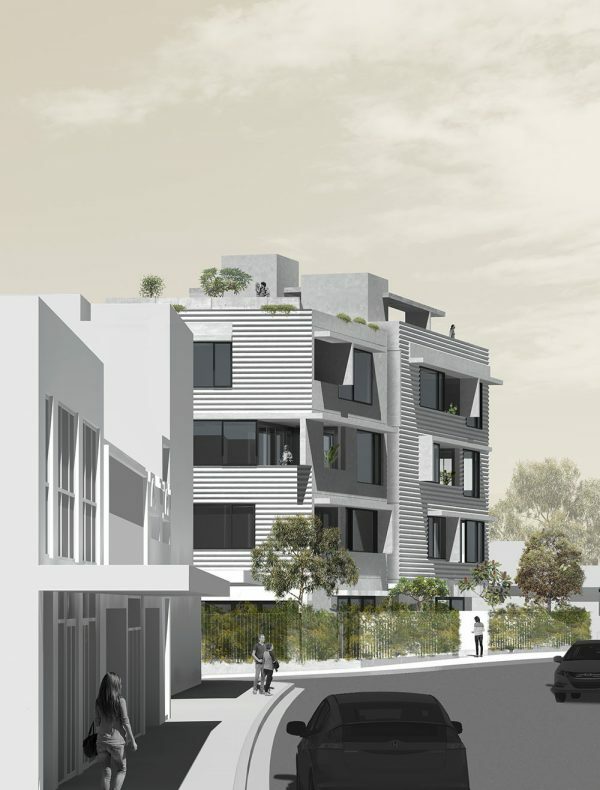 A small multi-residential development on a corner site in southern Sydney with a mix of one, two and three bedroom apartments. 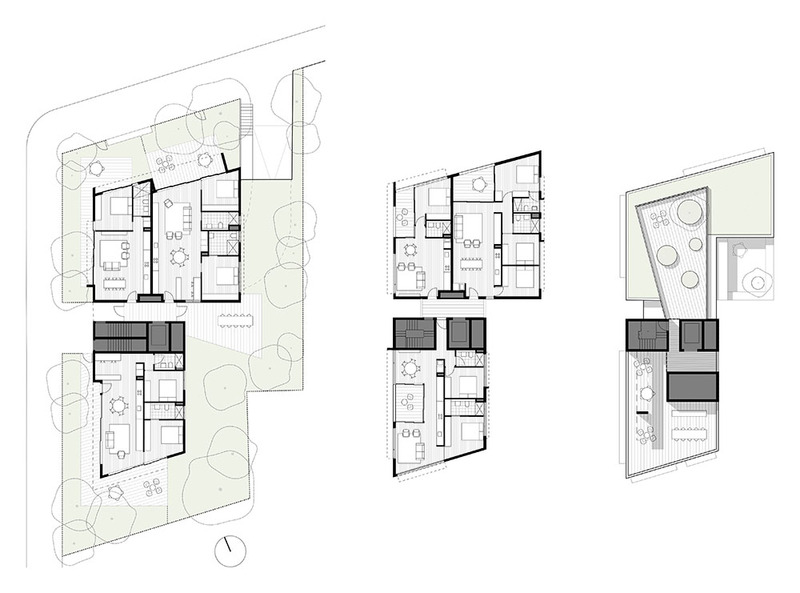 The building form is split into two volumes to break down the scale of the building’s massing and to increase opportunities for cross ventilation to all apartments and common areas. 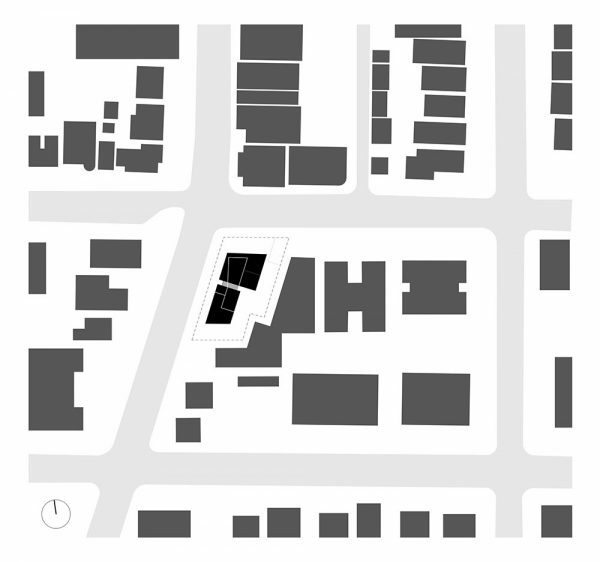 The irregular plans of the volumes are shaped by the obtuse angle of the street corner and the setbacks required to neighbouring residential development. The building is to be constructed from in-situ concrete with an alternating pattern of corrugated or smooth formwork to each facade. 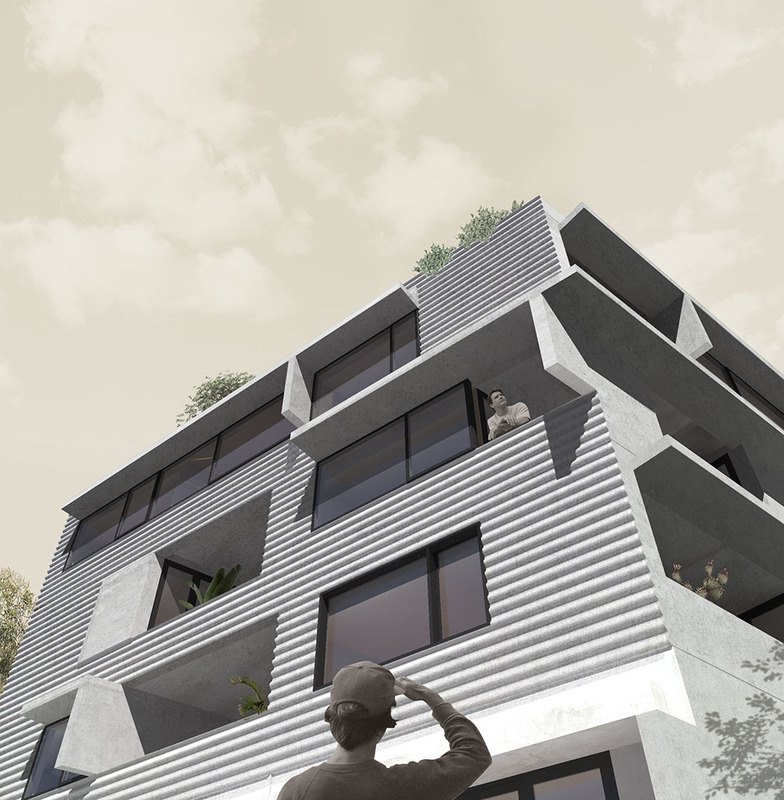 A series of vertical and horizontal concrete elements provide sun protection and privacy to residents and further articulate the facades, inset balconies and the communal roof terrace.